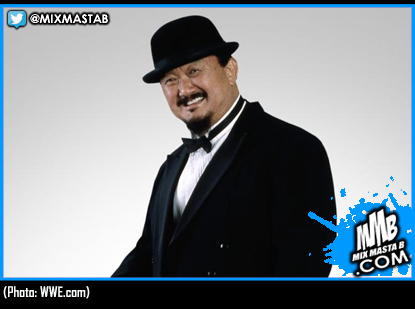 WWE is saddened to learn that WWE Hall of Famer Harry Fujiwara, known to WWE fans as Mr. Fuji, passed away yesterday at the age of 82. Fuji spent more than 30 years entertaining fans worldwide as both an in-ring competitor and one of WWE’s greatest managers. A five-time WWE World Tag Team Champion, Fuji was infamous for keeping small bags of salt in his tights which he would throw into his opponents’ eyes. After retiring from the ring, Fuji managed a litany of WWE’s most feared Superstars, such as George “The Animal” Steele, Kamala, Killer Khan, Demolition, The Powers of Pain, Yokozuna and most notably, “Magnificent” Don Muraco. With Muraco, Fuji treated WWE fans to the classic Fuji Vice, Fuji General, Fuji Bandito and Fuji Chan series. These series were ahead of their time because spoofing successful television shows as they tried to break into Hollywood was the epitome of sports-entertainment.